I just wanted to give a special thank you post to Granny here on my blog. She taught me how to make dill pickles tonight. 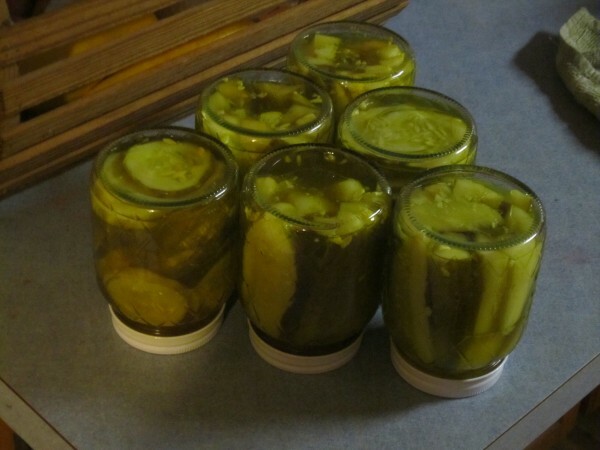 With just a few cucumbers from my garden, we made six pints of pickles that’ll be ready for eatin’ in a few weeks.